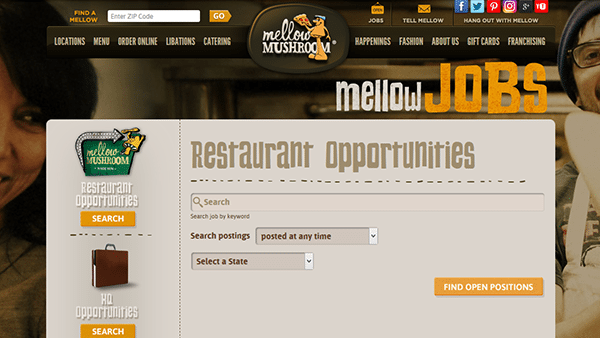 Download the Mellow Mushroom job application on this page. 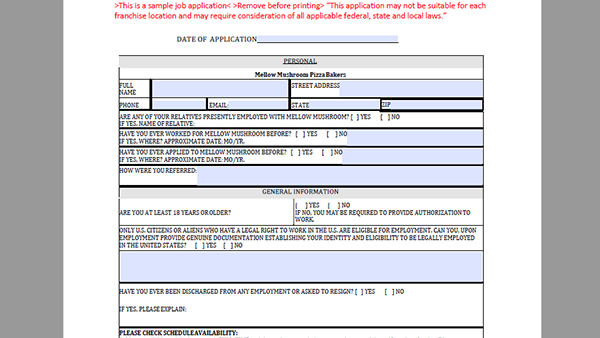 The application can also be accessed online (by going to the company’s jobs site). 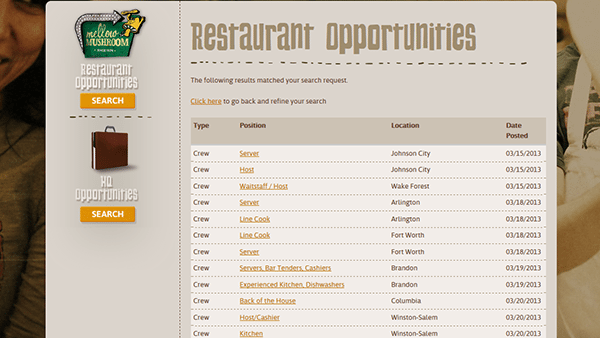 Both corporate (HQ) and restaurant positions can be searched/applied for online. Read the instructions in the how-to guide posted below for more details regarding the job search/application submission processes. 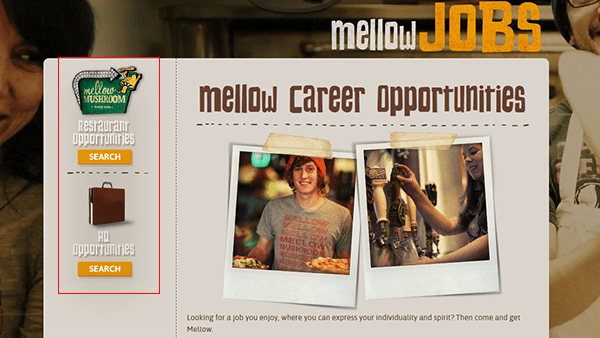 About the Company: Mellow Mushroom Pizza Bakers is an American chain of pizza restaurants headquartered out of Fulton County, Georgia. The company has more than 185 locations throughout the United States, and was founded in 1974. 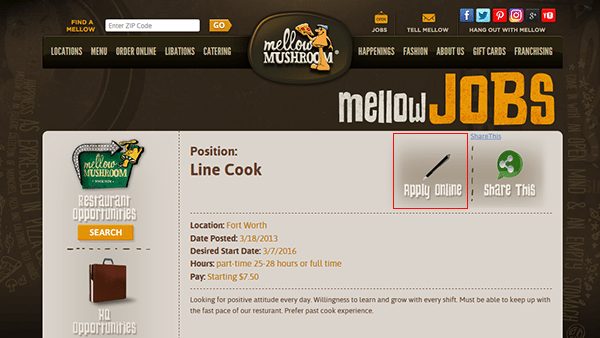 Step 1 – Click here to open the Mellow Mushroom jobs page in a new window/tab within your web browser. Step 2 – Press the “Search” button (underneath the job type that you’re interested in – i.e. corporate or restaurant). Note: This guide details the online hiring process for restaurant jobs. Step 3 – Enter a keyword and then select a state/location from the drop-down list. Hit the “Find Open Positions” button to load the results. 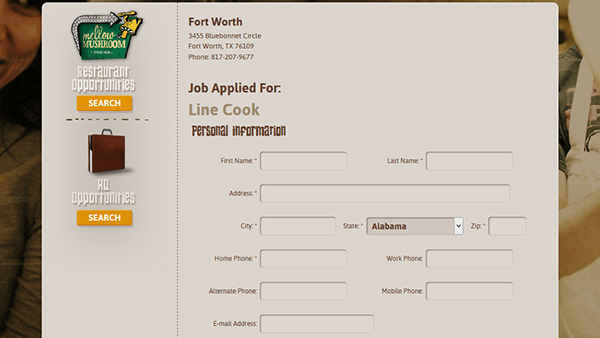 Step 4 – Press the link of the position that you want to start the online hiring process for (to go to the next step). Step 5 – Click the button as outlined in red in the below screenshot. Step 1 – Download the .PDF file via the link provided at the top of this page.